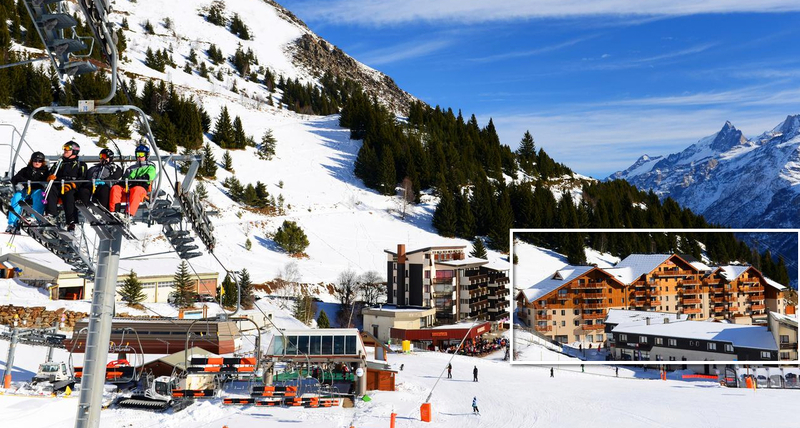 Located at an altitude of 1350 m, Oz-en-Oisans ski resort enjoys easy and quick access to the vast ski area “Alpe d’Huez Grand Domaine Ski area” via the Alpette gondola lift (towards Vaujany ski resort) and Poutran (in the direction of Alpe d’Huez). Also close to new connection to Les 2 Alpes ski area. Oz-en-Oisans boasts 3m10 of snow per year, 53kms of pistes, 2 snow parks, the longest piste in the world (3.5kms)and 175kms of pistes. Located between 1850 and 3300 meters high, the ski area Oz en Oisans represents 53 kilometers of ski slopes (or 175 hectares for purists) served by 20 lifts including 11 teleported (chairlifts, gondolas or cable cars). A total of 30 trails wind between steep slopes, more hilly sections and slopes that are conducive to learning to ski. While seasoned skiers will favour the 2 black and 10 red runs to follow sharp bends and carefully cut curves, the intermediate skiers will make their range on the 12 blue runs on which they will work again and again their position, their support as well. than the sequence of their turns. For their part, beginner skiers or snowboarders will be confined (initially) on the 6 green tracks ideally arranged and drawn to allow the initiation to ski in excellent conditions. Note that in Oz en Oisans, the production of artificial snow ensures good skiing conditions on 35 kilometers of slopes. What guarantee ski-in ski-out even when the natural snow is capricious. As Nordic ski enthusiasts can rest assured, Oz en Oisans also offers 50 kilometers of cross-country ski trails, allowing both skating and classic skiing.